Also: Call for The Shackleton Award nominations and Greenland team mate. 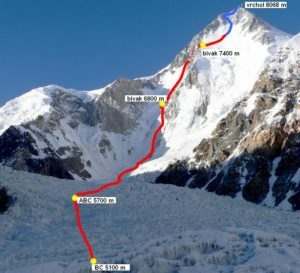 (Correne Coetzer) Doug Tumminello aborted his expedition. Henry Worsley has still been climbing on Titan Dome. 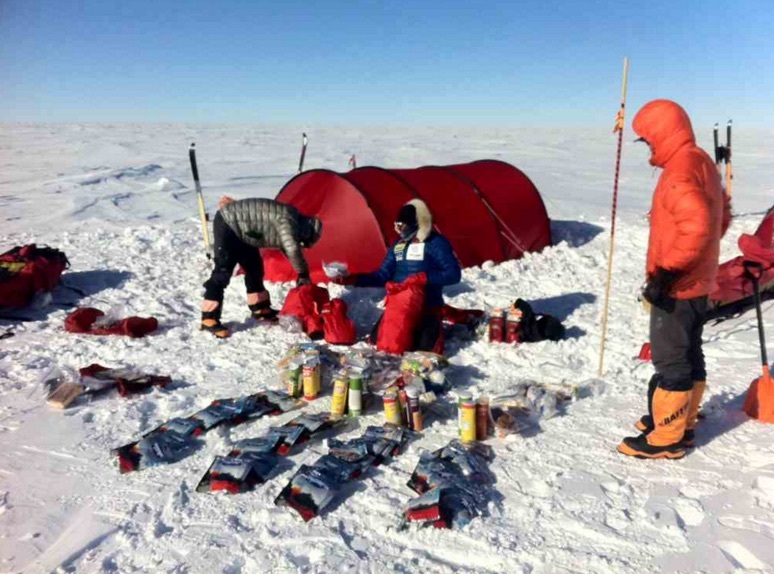 Solo skier Luke Robertson and the four-men team (with 10 wag bags each) are in the last degree of Latitude (110km). Emma says it is “uber tight” to get to the Pole before pick-up. Trygve Norman calls for nominations for The Shackleton Award; open till January 22. This Award honours outstanding expedition achievements and aims to inspire today’s explorers to new expeditions into unknown territories or conditions. The award is awarded annually to an expedition found to be “real and novel, un-motorized and within polar areas or conditions”. The Shackleton Award Committee consists of renowned international explorers and scientists. Read more on Pythom who the previous winners were and contact Trygve at trygve(at)theshackletonaward.com or mobile +47 9092 4717. HENRY WORSLEY (55) UK, solo, Unassisted Unsupported traverse 1100nm / 2037km, Berkner Island – Geographic South Pole – Shackleton Glacier (Ross Ice Shelf), Started November 13, 2015. South Pole January 2, 2016 (Day 51). Weather and surface were good. On Day 56, Henry had an enforced rest day after a restless night with a very upset stomach. A day of sleep sets him to rights, and Henry set off at midnight till 4pm and covered 16 nautical miles. Still gaining altitude and racing against time, breathing is difficult. January 9, Titan Dome took Henry over 10,000m, he celebrated crossing into 88 degrees South and Ernest Shackleton, who reached Furthest South at 88° 23’ on the Nimrod expedition on this day in 1909. Henry is craving a long list of delicious food and is down to last 14 days of freeze dried food. Altitude 10,403 Ft, Temperature -30°C Chill, Wind Speed 3 Mph, Weather Glorious. Day 35: at a latitude of 88° 19′ 39.24″ S, Luke is now well and truly on the Antarctic Polar Plateau. With the gentler gradient of the plateau, he has upped the mileage – skiing over 20 miles in the glorious Antarctic summer sunshine! Day 36: 88° 36′ 55.98″ S, he said it’s been pretty cold today, but the sastrugi have finally disappeared! Today he skied over 20 miles and now has less than 100 miles ’til the South Pole! Day 37: 88° 55′ 2.04″ S, Luke skied over 20 miles today in very challenging and windy conditions. Day 38: 89° 10′ 45.12” S, Last Degrees and it’s still unbelievably cold. After thinking long and hard, talking to Lisa Renee (his wife), praying about the decision, going through multiple calculations and scenarios and talking to ALE, Doug decided to stop upon arrival at Thiels, one of ALE’s resupply points for assisted skiers. Last location on Doug’s tracker: 1/9/2016 4:07:00 PM Latitude -85.086118 Longitude -080.776763 Elevation1352m. Emma said her neck and shoulders were “playing up”. They had a big white hill in view for a few days. As it is with distances and heights on Antarctica, it looked much closer than it was. Eventually they could make a 0.5nm detour. 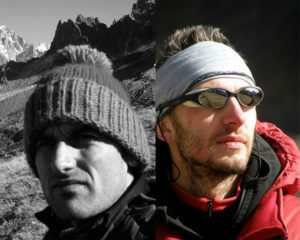 The team is still gaining elevation and is feeling the cold. They are in 86 degrees South. “Uber tight” to get to Pole before pick-up time. Every mile towards the South Pole seems to be getting harder, wrote Stew. Mostafa wrote the sledge-hauling is definitely getting more challenging and difficult as they are now at 3000 meters but it feels more like 4500 meters so breathing in high Altitude is a challenge. This year’s pick-up date is postponed from January 27 to February 3, according to skiers’ reports.